It was just another fine day for racing Sunday afternoon. Although the wind was light (A sail) we managed to get in 7 races in total. Jonathan Gorbold won 3, Jay Niggli won 2, Anne Lambert won 1 and Terry Schmidt won 1. We set up 2 courses for the afternoon to accommodate the wind changes. For some races we sailed north south and other races east west. It made for a lot of stop and go. Getting too close to the docks was problematic and getting to close to an Ensign on a mooring was also dangerous. Boat #54 was slowed down considerably by the placement of an I-phone in the boat and a GoPro attached to the mast. Lesson learned was — make sure you have them turned on before sending the boat out cause there is not much recorded when the boat gets back if you don’t!!!!!! OPPPPPS! 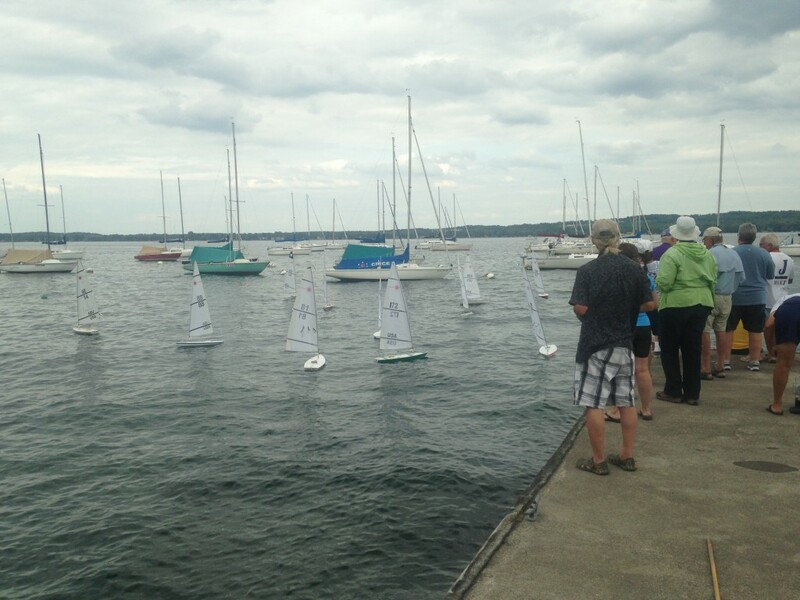 Next Sunday will be Mother’s Day and week 6 of our spring racing series at the south dock CYC 4-6PM.